This is a brief article on Persian literature history. Persian literature is the jewel in the crown of Persian culture. 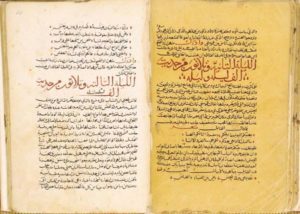 It has profoundly influenced the literature of Ottoman Turkey, Muslim India. And Turkic Central Asia and been a source of inspiration for Goethe, Emerson, Matthew Arnold and Jorge Luis Borges among others. Although conquered completely and absorbed inextricably into the Muslim world, Persia nonetheless retained its language and its identity. The Sassanians had strongly promoted the language of their homeland Persis (Fars), making it the official tongue of their Empire. After the Persian came to power and with the expansion of the Empire and the inclusion within their realm, of various cultures that used writing to communicate, the need for communication by writing arose. The scribes of Elam and Babylon were recruited and for the first time, the language of the Persians was written in the Cuneiform script. This language, called Middle Persian in modern scholarship, continued to be used in Iran after the Islamic conquest; it underwent some gradual changes and emerged in the ninth century as the language of a “renaissance” in Persian literature. Pahlavi was used throughout the Sassanian period, though little now remains of what must once have been a considerable literature. About a hundred Pahlavi texts survive, mostly on religion and all in prose. The fifteenth century produced a number of notable historians -Nizam od-Din Shami, author of the Zafar Nameh (a history of Timur); Yazdi, who wrote a work of the same name; Hafiz-e Abru, Khafi, Dowlatshah and Mir Khand, author of the immense Rozat as-Safa or Garden of Purity. Persian literature too has a number of noteworthy characteristics, the most striking of which is the exceptional prominence of poetry. 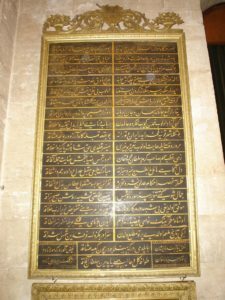 The qasida or ode is a long poem in monorhyme, usually of a panegyric, didactic or religious nature; the Masnavi, written in rhyming couplets, is employed for heroic, romantic, or narrative verse. 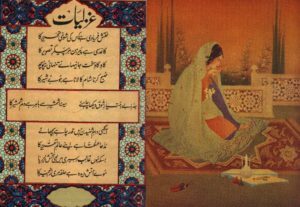 The ghazal (ode or lyric) is a comparatively short poem, usually amorous or mystical and varying from four to sixteen couplets, all on one rhyme. A convention of the ghazal is the introduction, in the last couplet, of the poet”s pen name (Takhallus). During the reign of Rezi Shah (1925-41) a number of novels were published, mostly maudlin works with pious social postures and weak techniques. Mohammad Mas’ud’s first novel Tafrihdt-e Shab (Night entertainments) made a stir by openly exposing the frustrations of the educated classes and urban civil servants with a mixture of humor and tragedy. The polite style of writing which finds its best representatives in books on the humanities and essays and articles in social criticism has evolved from the style of the Literary Revival. Its chief characteristic, compared to Safavid and Qajar prose, is clarity. At its best, it is also elegant.